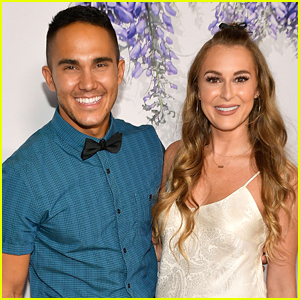 Carlos PenaVega Photos, News, and Videos | Just Jared Jr.
Alexa and Carlos PenaVega had the cutest gender reveal ever in their latest vlog, while on a babymoon vacation with their first child, Ocean. The couple had a special cake made for the reveal vlog and it revealed they were having another boy! “Yesterday was beyond special! The video is coming soon! An extra BIG thank you to Marla for going above and beyond making it so fun and memorable with all the decorations and DELICIOUS CAKE!! !” Alexa wrote on her Instagram. Carlos and Alexa also revealed what they plan to name their second child in the video. Check it out below! Ever since Jonas Brothers confirmed their reunion with not just a song, but a video, fans are now waiting for Big Time Rush to surprise them with the same – and JJJ is here for it! The band, made up of Kendall Schmidt, James Maslow, Logan Henderson and Carlos PenaVega, parted ways in 2014, just a year after the Jonas Brothers did the same. 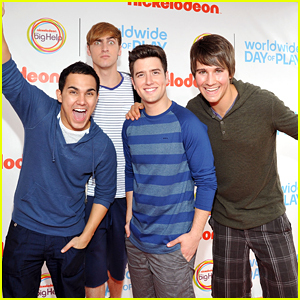 James, Kendall, Logan and Carlos are all doing separate things now – in fact, Carlos is headed to shoot another new movie, while the others are working on their solo music. However, we’d never say no to a BTR reunion at all – and Alexa PenaVega, Carlos‘ wife and actress, is 100% behind it too. “Now that the Jonas Brothers are back… can we bring back BTR already? #PatientlyWaiting,” she tweeted in support of the potential reunion. 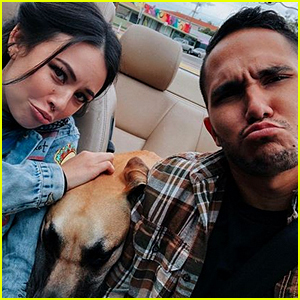 Janel Parrish and Carlos PenaVega are hard at work on their new movie Mighty Oak! 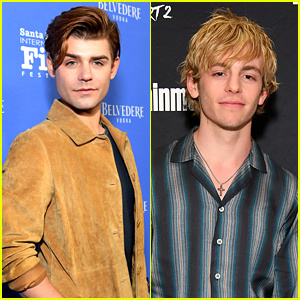 The former Big Time Rush singer took to Instagram on Saturday (February 2) to give fans a peek at the scenes he was shooting with the To All the Boys I’ve Loved Before actress in San Diego. “Spent the morning shooting scenes in a convertible with these two…. 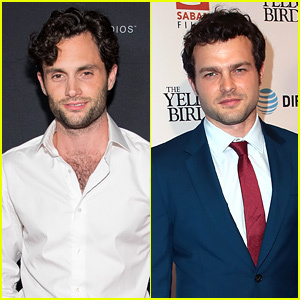 #mightyoakfilm @janelparrish @ladies_man_larry_,” he captioned the slideshow below. They were joined by their four-legged co-star Larry the Great Dane (who has his own Instagram account). See their posts below, and find out more about the film here! 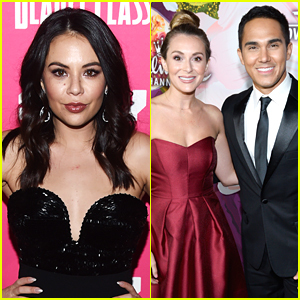 We finally know all about Janel Parrish‘s new movie with Alexa and Carlos PenaVega! Deadline reports that the trio, along with Levi Dylan and Tommy Ragen, will star in Mighty Oak. 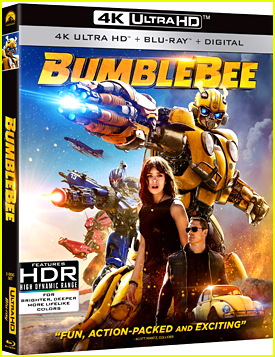 The movie is a dramedy centering on band manager Gina Jackson (Parrish), who struggles with losing her lead singer/brother (Dylan) in a fatal car accident on the way to a gig. A decade later, Gina meets a 10-year-old music prodigy named Oak, who seems to possess the same qualities as her brother, Vaughn. But her friends become concerned when Gina starts to insist that Oak is really the reincarnation of Vaughn. 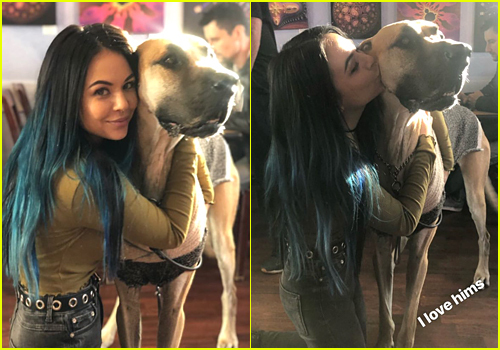 The movie is shooting now in San Diego – and Janel‘s already found her fave co-star of the bunch – a great dane named Larry! Alexa PenaVega is pregnant with her second child with hubby Carlos and the couple shared a cute story about the announcement. In their pregnancy reveal video, the couple revealed that they were separated filming two different Hallmark movies when Alexa found out she was pregnant. Alexa filmed a little video for Carlos where she tells him that she decided to take a shower and take a pregnancy test afterward. Carlos watched the video while they Facetimed and Alexa recorded his reaction. Check out it out the video below! In case you missed it, see what the Big Time Rush guys said about the news. Carlos PenaVega‘s former Big Time Rush bandmates are pumped about his new baby news! Kendall Schmidt and James Maslow both shared their thoughts in the comments section of Carlos‘ Instagram post announcing his and Alexa PenaVega‘s upcoming baby number two.